Transition slings have been somewhat sketchy to me; always sacrificing one key element of the sling for another just never seemed worth it. As fate would I have it, I came across this HIT Sling MkII and found it to be very unique – I took the dive. 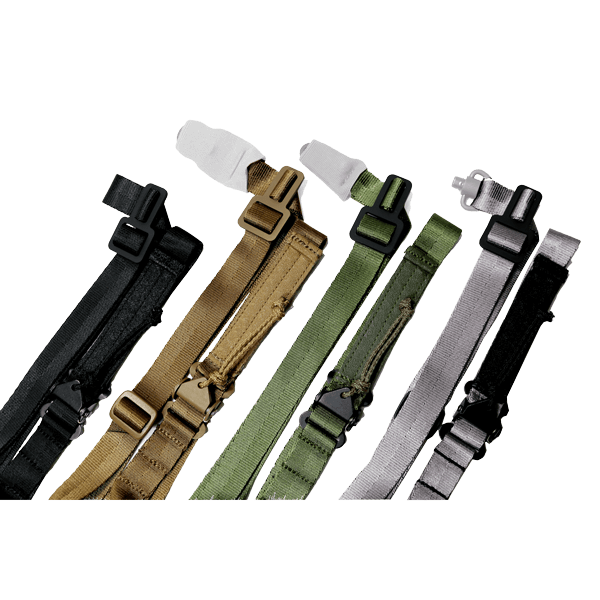 The HIT sling is a highly intuitive and efficient sling that retains a continuous loop allowing for smooth transitions. KISS- This is much simpler a design than it appears to be. The bells and whistles aren’t so much bells and whistles but leaves one wondering “Why didn’t anyone think about this before?”. As far as hunting applications, I’ve found the HIT Sling to be a great mate (with little modification to my rifle) to my 700 in the woods. The rifle stays out of my way through the woods and up the tree. 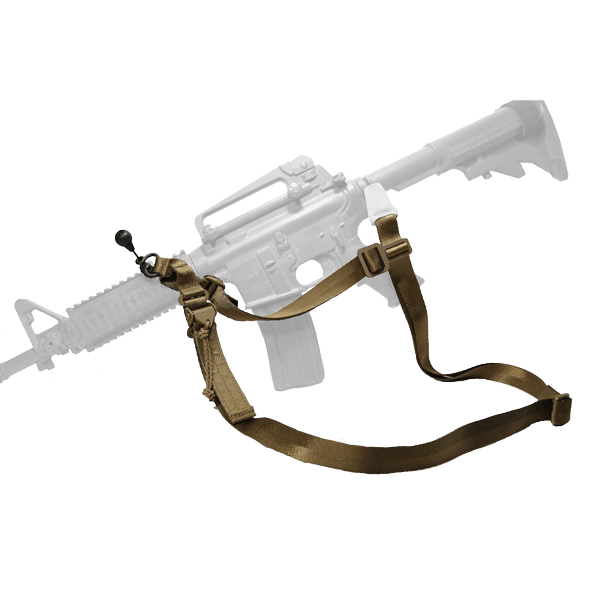 The HIT Sling also stays tight to the body in the tree and available at a moment’s notice. I’ve replaced all my slings with HIT Slings, they are phenomenal! Sling works well for me. Provides a versatile alternative to a strictly single point attachment system. I typically don’t write reviews on products, even though I frequently read them to help me decide whether or not to buy that product. I had the opportunity to have the HIT Sling MKII demoed and was sold immediately. The simplicity of it is truly ingenious. 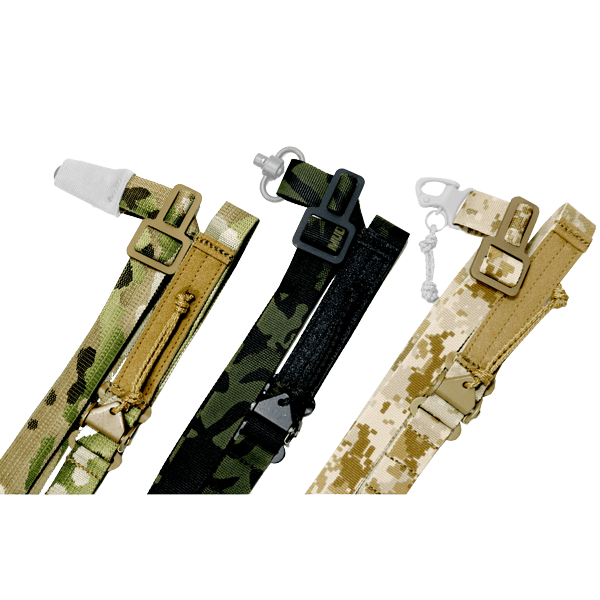 I, presumably like a lot of others, prefer the single point sling for shooting. But when you need to go hands on, the weapon becomes an elephant trunk swinging around or its hand (singular) on the subject and the other hand on the weapon. I watched the videos, set my sling up and practiced with it for an hour or so. I went to training the following week but never said anything about the sling to the other guys. We conducted our shooting drills and tactics. After a couple of hours, we had some down time and I had the HIT sling in the 2 point configuration, with it cinched to my vest. Several of my team members noticed and asked me about my sIing. I showed them how I cinched up the sling and loosened it. I then simply pulled on the RED (rapid emergency deployment) swivel and back to the single point configuration instantly. I preferred the MK II over the MK I for that very reason. Next, I had to qualify with the 40mm launcher. 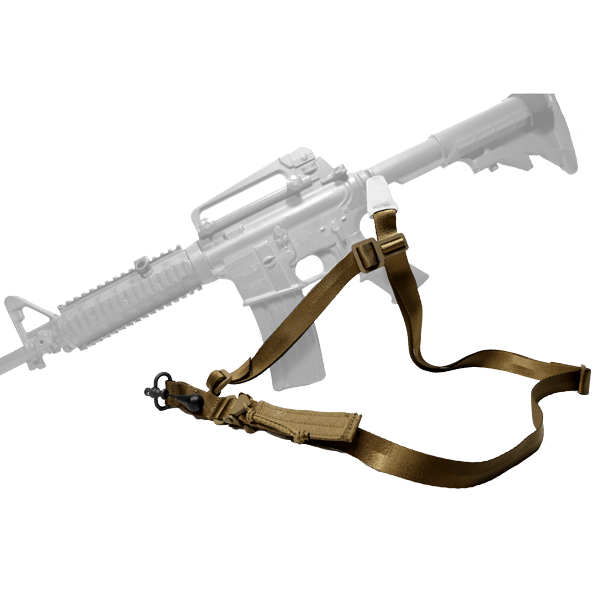 Rather than grounding my rifle, I used the OTS (over the shoulder) buckle and secured my rifle on my back. Now everyone noticed. This configuration is also ideal for climbing. At the end of the training day, twelve of my team mates wanted HIT slings. I’ve also recommended this sling to my friends that are not on the team. This is a great piece of equipment and you won’t be disappointed!